Picked and blended by hand apple and cinnamon green tea. Not a day goes by that I don't drink my body weight in tea so when Chai Kai got in touch and asked if I'd like to try some of their tea, it was a no brainer. 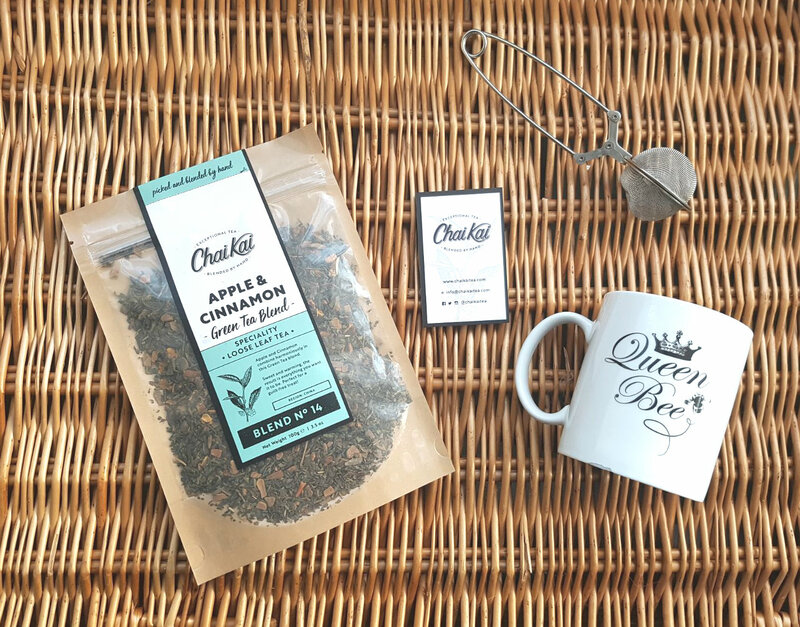 Tea reviews are becoming a rather regular thing on my blog and I'm certainly not complaining. My day just doesn't start until I've had a cuppa so any excuse to try new flavours and blends is a welcome treat. While I'm most definitely a black tea kinda girl, I do enjoy a good green tea every now and then. During the summer months I love making up batches of iced tea as it's such a lovely, sugar free way to have lovely fruity drinks that are good for you. 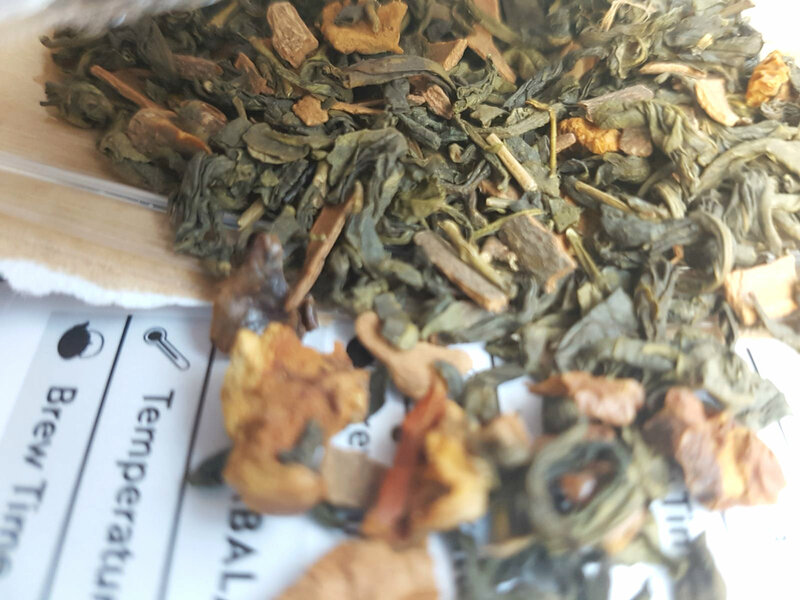 When this gorgeous Apple & Cinnamon green tea blend from Chai Kai arrived, it certainly made my day a bit brighter! This green tea blend contains nothing but Chinese green tea, Cinnamon, apple pieces and natural flavourings, so it's perfect for a fruity, guilt free treat. I must admit this gorgeous blend reminds me of apple pie! It's lovely and sweet with a warming hint of cinnamon and is best without milk. Like most loose teas, you don't need a lot to get a decent flavoured brew so this 100g gives you a massive 50 servings and at a bargain price of £5.75, thats a tiny 11p a cup. It just proves you can have high quality without the hefty coffee shop prices.